Purveyors of professional-grade make up brushes and sumptuous shadow palettes, Morphe Brushes will enable you to make up like a make up artist – blending your complexion, eye and contour products to perfection, to achieve a flawless, airbrushed finish. 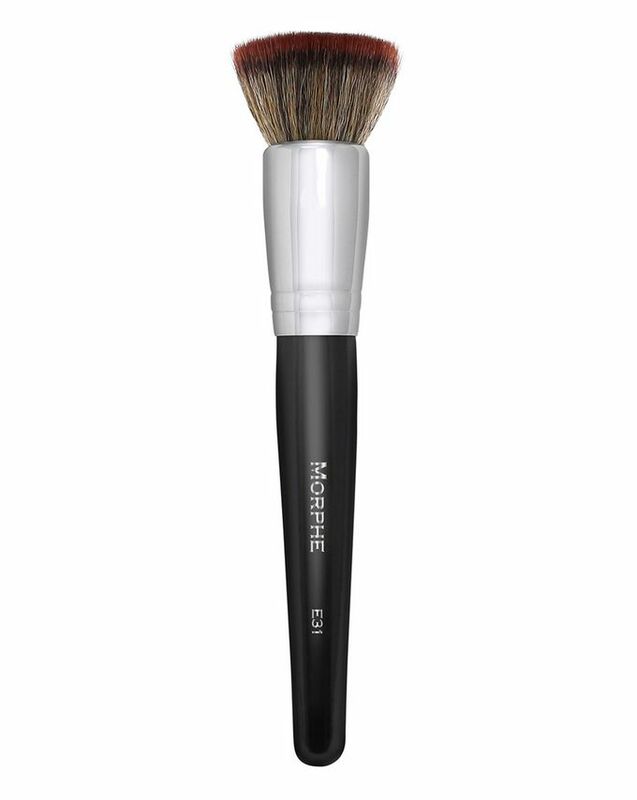 A gorgeous face-finishing brush, Morphe Brushes’ Deluxe Flat Buffer Brush (E31) stars flat-topped bristles to blur base, blush and concealer together beautifully – eliminating any ‘edges’ to leave your complexion looking naturally faultless. With a chunky black handle, chrome ferrule and super-soft synthetic bristles, this brush ‘melts’ products into one another to create an enviable ‘soft focus’ effect (think: real-life Instagram filter). A gorgeous face-finishing brush, use this to blur complexion products seamlessly. Fantastic hair and evenly spreads. I really wasn't expecting this, but this brush is incredibly scratchy. I have sensitive skin, but have never had to actually throw out a brush after less than a handful of uses because of how harsh and painful it was on my skin. I love this foundation brush, blends foundation very well. U have to wash it id say every 2-3 weeks because it ends up getting clogged with foundation. But what brushes don’t?. Very good and not too pricey. Worth every penny.